Born looking up the wrong end of the American Dream, Cinnamon Monday survives her tumultuous upbringing by creating a make-believe world inspired by the nineteenth-century heroines she admires. In adolescence, when her imagination is no longer enough to protect her, she descends the dark world of drug addiction. She is given a second chance by a compassionate neighbor named Sam, a world weary man with secrets of his own. Now, working at Sam’s vineyard in the beautiful Dry Creek Valley, Cinnamon Monday attempts to put her life in order, overcome her demons, and find the strength to live life on her own terms. 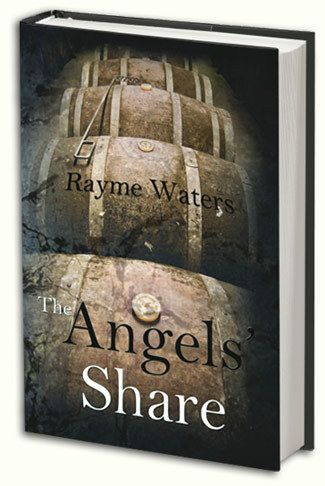 Released in original paperback, The Angels’ Share is a great selection for any book club. Rayme is available for author chats to book clubs or groups. Please contact rayme@raymewaters.com for more info.